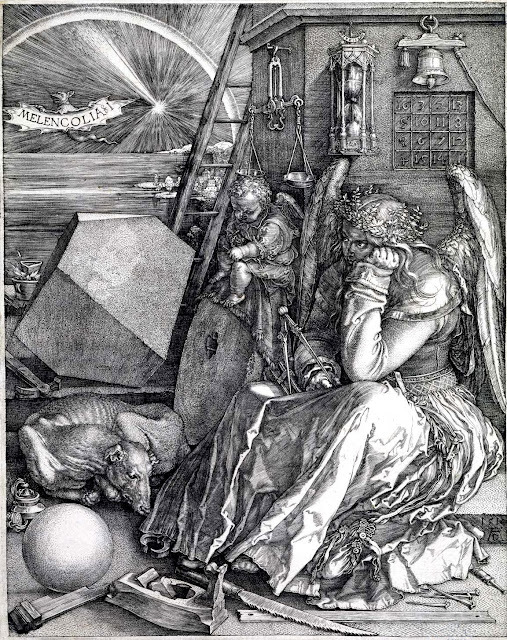 Melencolia by Albrecht Dürer is a reminder that among all the things most immediately on your mind and surrounding you, the light is always there, even if in the distance. It is ready to lift your consciousness to a higher state. Depression is often a way people access and become aware of their subconscious side. Much inner wisdom can be gleamed in such times. It's not always easy, but often, the reward of that descent is eventually a brighter, more conscious awareness of the Self and the world.